Lerynne West of Iowa won a lump-sum prize of nearly $200 million in a recent $700 million Powerball drawing, so she decided to do some good with her money. 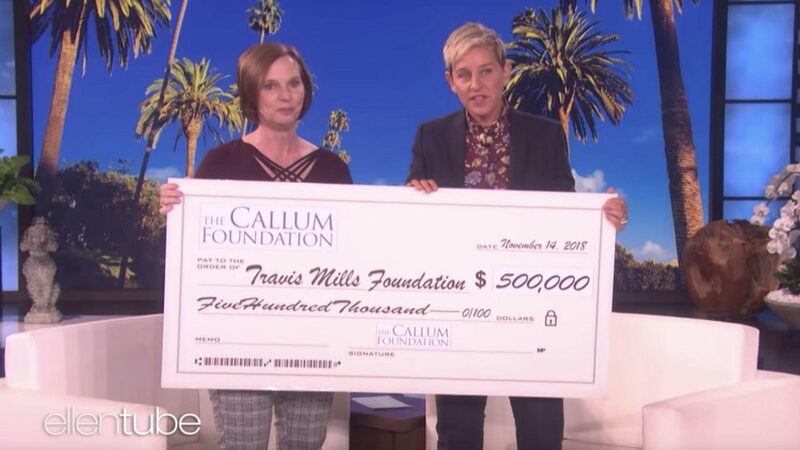 West donated $500,000 to the Travis Mills Foundation, a Maine-based organization that helps disabled veterans acclimate to life after becoming disabled. West, who retired from Welmark Blue Cross/Blue Shield after the win, also created The Callum Foundation in honor of her grandson. The foundation is “focused on providing grants to organizations in central Iowa and beyond,” according to the organization’s website. West won a share of the Oct. 27 Powerball lottery after purchasing her ticket in Redfield, Iowa. She initially left the ticket on the floor of her sister’s pickup truck. But her sister sent a photo of the ticket to West, and after checking the numbers online, she discovered that she was a winner. The Iowa woman was one of two winners — New York City resident Robert Bailey purchased the other winning ticket. Each of the two tickets won a $343.9 million annuity, or a $198.1 million lump-sum option. West, who chose the lump-sum option, promised to do good with her winnings after she turned in her ticket to lottery officials for validation.